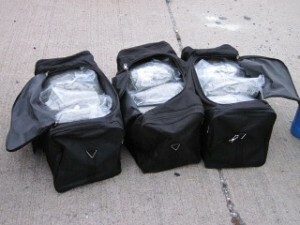 Criminal defense attorneys questioned whether a transportation inspector could plausibly smell fresh marijuana packed inside duffel backs like these from outside a semi-truck trailer where similar duffel bags were discovered. A marijuana case decided this week in the 10th Circuit Court of Appeals emphasizes why it is important for criminal defense attorneys to carefully research witness backgrounds and recognize appellate issues even before a criminal case goes to trial. The case involves a retired truck driver facing five years in federal prison over six duffel bags of marijuana discovered in a load he had picked up in Phoenix. Before the case went to trial, a criminal defense attorney representing the accused trucker opposed prosecutor’s motion to exclude from his trial findings another judge had made, in an otherwise unrelated trial, about the government’s lead witness. The government witness – a state transportation employee – was not credible, the judge in that earlier trial had found. Jurors in the trucker’s trial did not get to hear about the earlier judge’s ruling, nor did they get to hear anyone ask the government witness to explain why he had previously been deemed unreliable. The appeals court determined the trial court had denied the trucker his Sixth Amendment right to confront his accuser and reversed the conviction. It took more just the faulty exclusion of a prior judge’s doubts about a witness to unravel the government’s case against the retired trucker, though. The criminal defense attorneys had to show not only that the trial judge had erred in using his discretion about what evidence to admit, but that the trial court had left a constitutional question undecided. In that regard, the case raised a new issue for the 10th Circuit Court of Appeals. “Although we have not addressed the issue of whether past judicial determinations are admissible under Rule608(b), several of our sister circuits have done so and held that they are,” the court wrote. Whether the witness has explained previous implausible testimony. In its published opinion, the federal appeals court said the defense did not need to show that further cross-examination would have made a difference in the outcome of a trial to have the question overturned on appeal. The trial court’s failure to recognize that a previous judicial finding about the witness’ credibility could be relevant was sufficient to violate the defendant’s right to confront witnesses against him. The testimony a previous judge found not credible involved the transportation inspector who looked into the trailer and found marijuana among the load the retired trucker was hauling. The inspector claimed he smelled a strong odor of fresh marijuana when the trailer doors were opened. That smell, prosecutors argued, was evidence the trucker knew what he was hauling. In an earlier trial, the same inspector had testified that he smelled marijuana in another truck. His sense of smell became the basis for police soon after to stop and search that other truck. A trial judge in that case did not believe the inspector’s claims, and said so. It was that determination defense attorneys wanted jurors to know about when the inspector testified against their client. The appellate court noted in its opinion that other evidence presented in the trial did not support the inspectors claims. He said the trucker was nervous, and joked inappropriately with authorities were about to discover marijuana in his truck. An audio recording provided no evidence to support the inspector’s claim, the appeals court noted. When you’re facing criminal charges, questions that are raised or avoided early in a proceeding can have a decisive affect long after a case goes to trial. Savvy criminal defense attorneys seek not only to win at trial or get a case tossed before trial. A skilled criminal defense attorney can recognize constitutional issues which, if properly preserved by motions or objections during trial, can not only result in later reversal, but sometimes can help define constitutional rights with new case law. 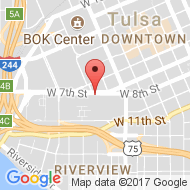 If you are facing criminal charges in Tulsa, Okla, or in any Oklahoma court, or in United States District Court, you’ll need a skilled criminal defense attorney. 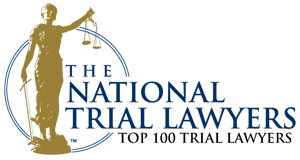 Tulsa attorneys at the Wirth Law Office are available now for a free initial consultation. Contact us today at at 1 (918) 879-1681 or toll free at 1 (888) Wirth-Law. If you prefer, submit a question through the online form at the top right of this page. Can the Government Open Your Mail Without a Warrant? Meet the Tulsa Attorney: Shannon R. Holman, Esq.